There are several CMS available in today’s online marketplace. WordPress is one of them which is very popular. It’s being used to develop a simple website to dynamic e-commerce website. But in this today’s blog post, we are going to talk about the great content management systems alternatives to WordPress that have some really nice features which can be useful in future projects. Have a look at them below! 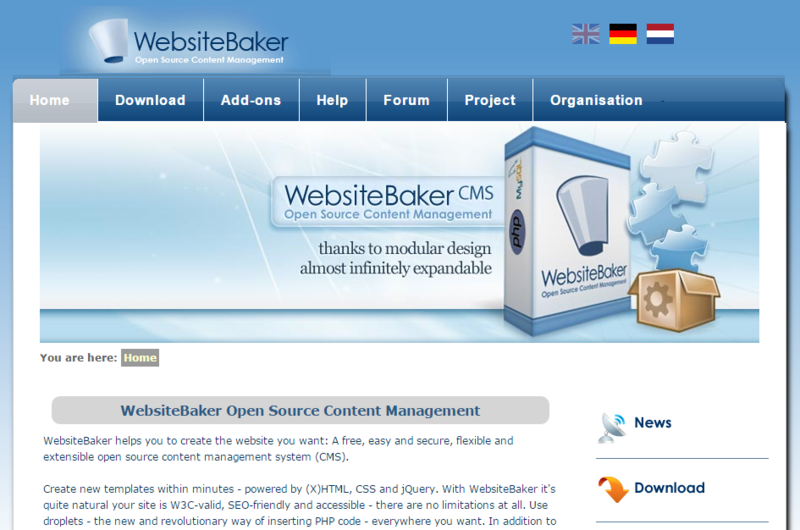 WebsiteBaker is a free, easy, secure, flexible and extensible open source content management system (CMS) that helps you to create the website you want. For more information, visit the website here. 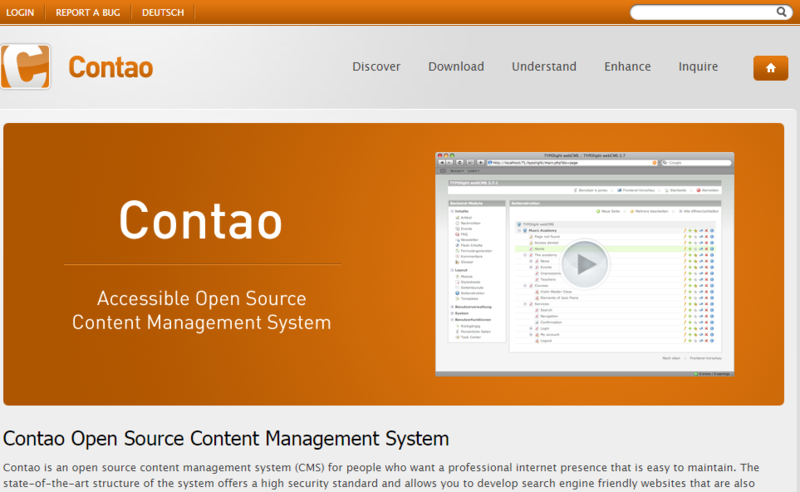 Contao is an open source content management system (CMS) that offers a high security standard and allows you to develop search engine friendly websites. For more information, visit the website here. 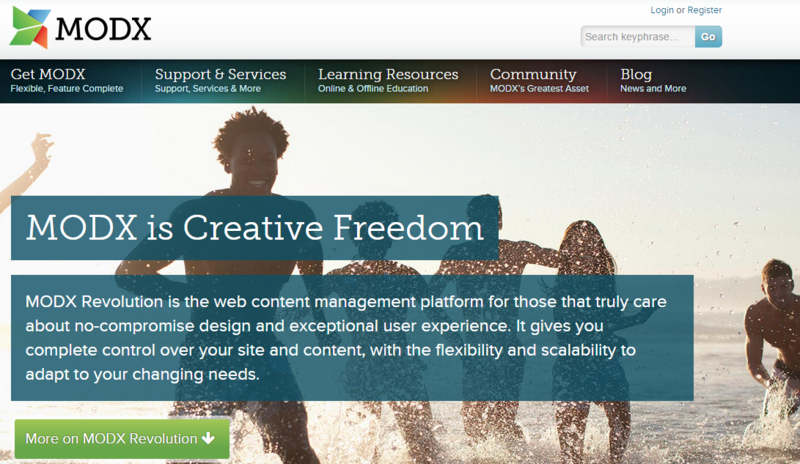 MODX Revolution is the web content management platform that gives you complete control over your site and content, with the flexibility and scalability to adapt to your changing needs. Visit the website here. 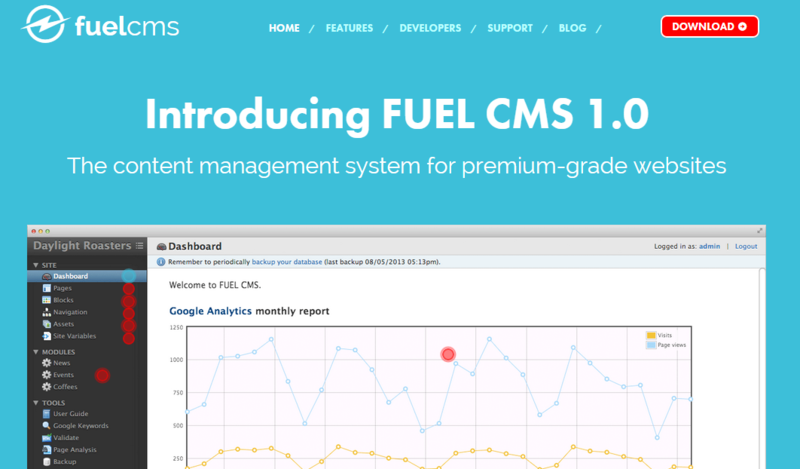 If you love to work on a CodeIgniter framework and need a lightweight, highly customizable CMS, FUEL CMS is one for you. Visit the website here. 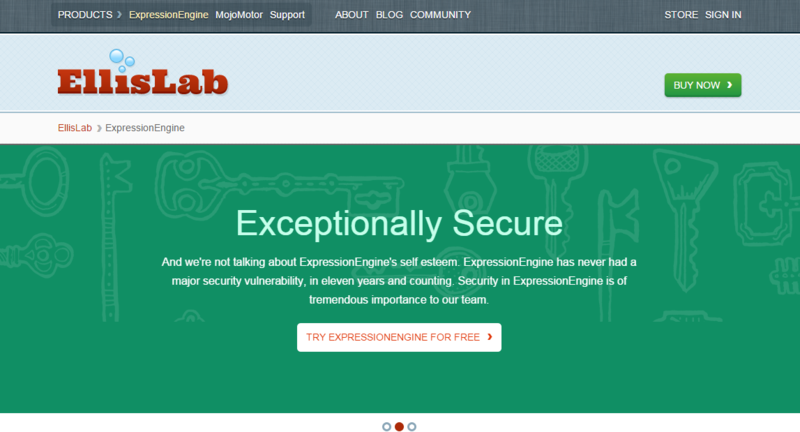 ExpressionEngine is a commercial product built on an Open Source foundation which is supported by a team of committed developers and technical support specialists. Visit the website by clicking here. 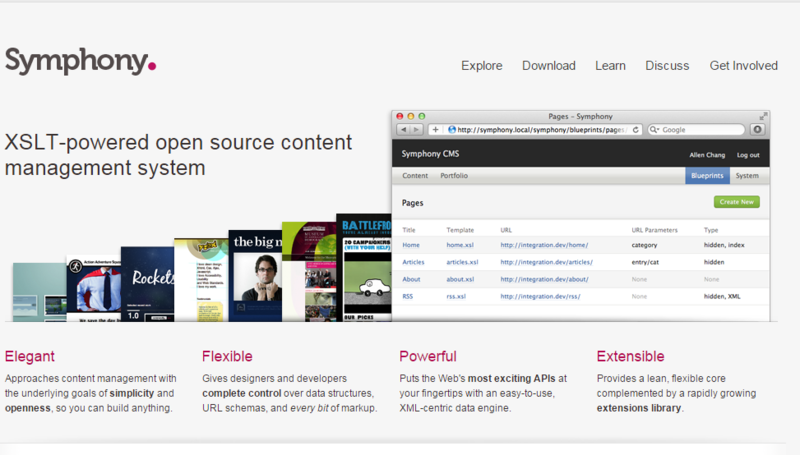 Symphony is a web-based content management system (CMS) that enables users to create and manage websites and web applications of all shapes and sizes. See the website here. With concrete5, anyone can start making their own website in seconds. The editing experience is easy and it has flexible and robust framework for building sophisticated web applications. Get more information in the website. 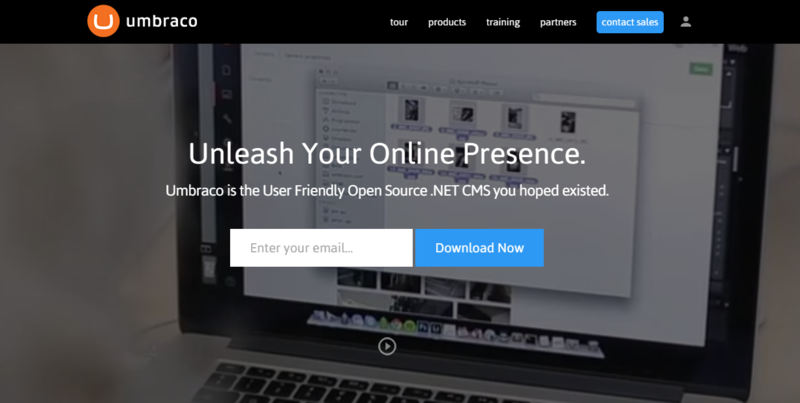 Umbraco is a free, open-source web cms built on the Microsoft .NET Framework. It is easy to use, simple to understand, and is highly extensible using industry-standard languages and patterns such as HTML, CSS, jQuery, and C#. Visit the website for more information. 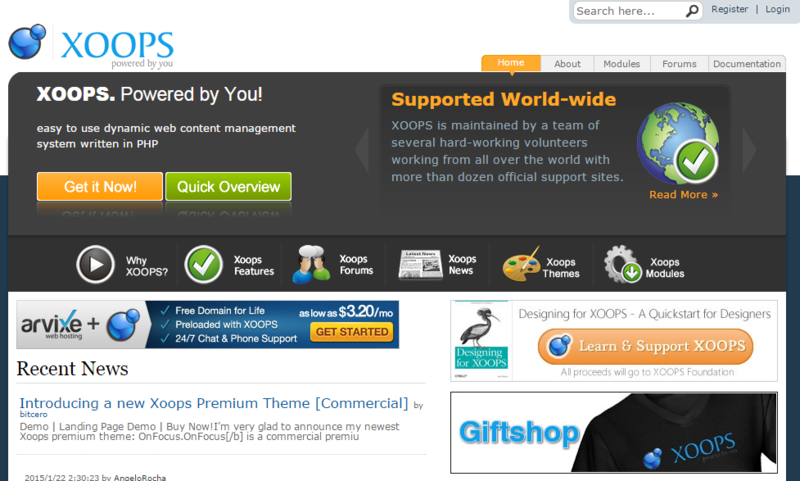 XOOPS is a web application platform written in PHP for the MySQL database. Its object orientation makes it an ideal tool for developing small or large community websites, Intra Company and corporate portals, weblogs and much more. For more information, visit their website. 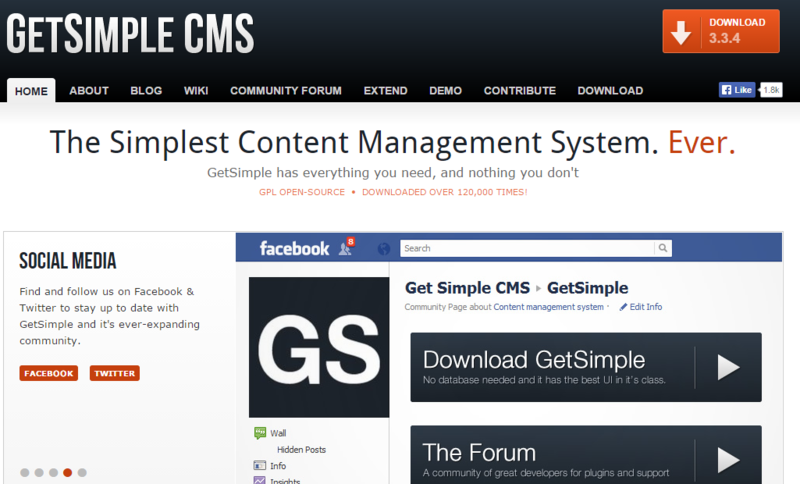 GetSimple is an XML based lite Content Management System which is truly the simplest way to manage a small-business website. Visit here for information.